Find Palmer Lake, CO Homes for sale. View Photos, Maps and MLS Data Now! Come achieve the Palmer Lake lifestyle with unlimited outdoor recreation & events, friendly neighbors & unmatched quality of life! MLS#7497480. Main Street Brokers. The sellers would prefer a 30 day rent-back, if possible. MLS#4946838. Your Castle Real Estate Inc. This is probably one of the finest lots in town! MLS#5191631. Main Street Brokers. All Kitchen Appliances are included and all are under 4 years old. W/D is also included. MLS#3689466. PARK BENCH DEVELOPMENT. 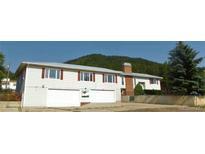 Secluded and quiet with easy access to Colorado Springs, Denver, and Castle Rock! 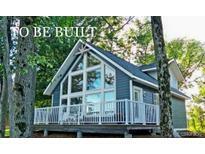 MLS#3550877. ERA Shields Real Estate. Welcome To Paradise*A Mountain Retreat Close To Everything*Incredible One Of A Kind Home*Feels Like Resort Living*Oasis At Its Best*Beautifully Updated* New No VOC Swiss Laminate Floors Throughout*New Paint*Newer Impact Resistant Roof*New Gutters*Newer SS Appliances*New Vanity And Sink*New Fixtures* Double Hung Windows*Newer Tile*Open Layout*Amazing Floor Plan*Feels So Much Larger Than Actual Square Footage*Great Kitchen Overlooking Living and Dining Areas*Oversized Bedrooms*Walk In Closets*Pride Of Ownership*Attention To Detail*Gorgeous Views From Every Window*Custom Finishes*Endless Sunlight*Covered Car Spaces*Garage Options*Private Lot*Bonus Walk Out Deck Leading To Backyard*Perfect Location*Easy Access To I-25*Great Option For Commuters Going To Denver Or The Springs*Best Of Both Worlds*Nature And Wildlife Outside Your Front Door*Walk Into Town*Enjoy Restaurants And Shopping*Fishing And Water Sports At The Lake*Trails Everywhere For Hiking*Outdoor Enthusiast Dream*A True Gem* MLS#7552830. MB Dream Home Realty, LLC. Seller has used the great guest cottage for additional income as an Air B&B, guests can use the outside shower and toilet, or relax in the private hot tub on the deck. MLS#8917119. Lifetime Properties. Tri Lake - Ah, your Colorado mountain paradise! Fantastic D38 schools! MLS#5975822. Main Street Brokers. Only 5 minutes to I-25 on County Line Rd. . MLS#5726166. Merit Co Inc.